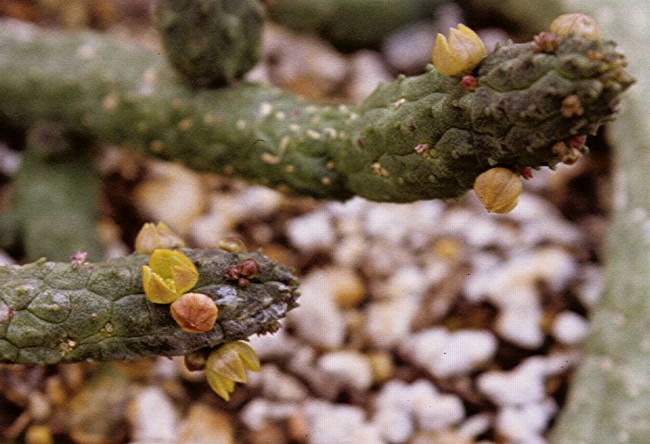 The genus includes around 34 erect to creeping stem succulents forming clumps or mats. 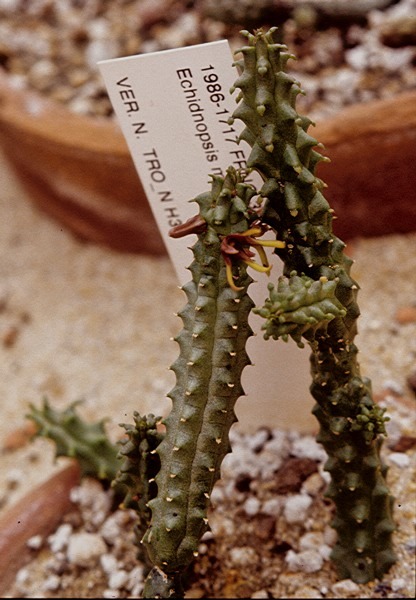 The cylindrical stems are patterned with flat to prominent hexagonal tubercles which may produce tiny vestigial leaves that are soon shed. 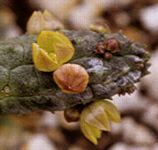 The small five-lobed flowers are yellow, brown or purple. Native to Eastern Africa, the Arabian Peninsula and Socotra. Several natural hybrids are known. Thin creeping to upright branching stems produce small five-pointed stars, usually yellow but also in shades of brown and purple. Native to North-Eastern Africa including Ethiopea, Eritrea and Sudan. Creeping stems form low cushions and mats. 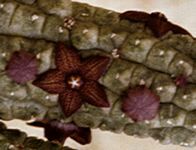 Flowers are yellowish-brown stars with five narrow lobes. Native to Eastern Africa including Ethiopia and Somalia. A creeping succulent with branching, decumbent stems forming mats. 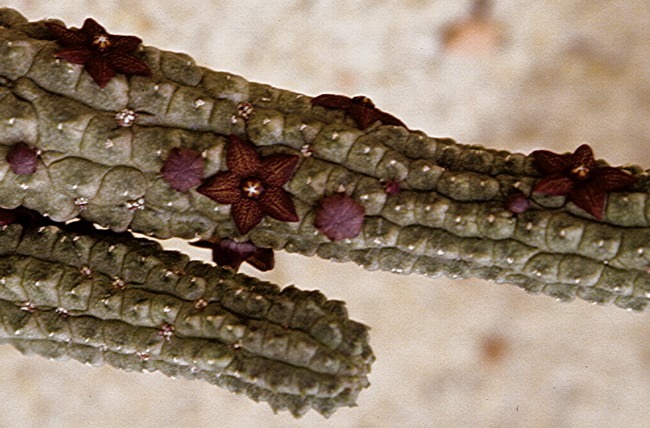 Flowers are small five-pointed brownish stars.